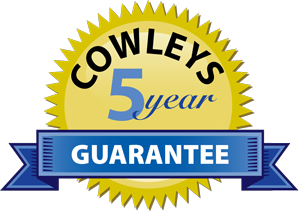 One Year Service Contract Warranty covers future mold and service of dehumidifier purchased from Mold Solutions by Cowleys. If new mold-fungi growth returns or re-occurs on any treated surfaces, Mold Solutions by Cowleys will re-treat the new areas of new mold-fungi growth without charge. The dehumidifier is covered under a manufacture warranty and includes regular maintenance and any necessary service work during the initial period of one year to ensure continuous protection. This Mold Treatment and Dehumidifier (1) One Year Warranty may be renewed and extended annually for a nominal fee. Upon renewal of this contract Mold Solutions by Cowleys will schedule service of the dehumidifier which includes; filter changes, cleaning, calibration of the unit and an annual visible mold inspection. Transfer of Warranty: This Mold Treatment and Dehumidifier Warranty is transferable (without additional charge) to a new owner of the property in the event of a real estate transfer of title on the property. A (1) One Year Warranty is included with mold treatment service. If new mold-fungi growth returns or re-occurs an any treated surfaces, Mold Solutions by Cowleys will re-treat the new areas of new mold-fungi growth without charge. Transfer of Warranty: This Mold Treatment Warranty is transferable (without additional charge) to a new owner of the property in the event of a real estate transfer of title on the property.